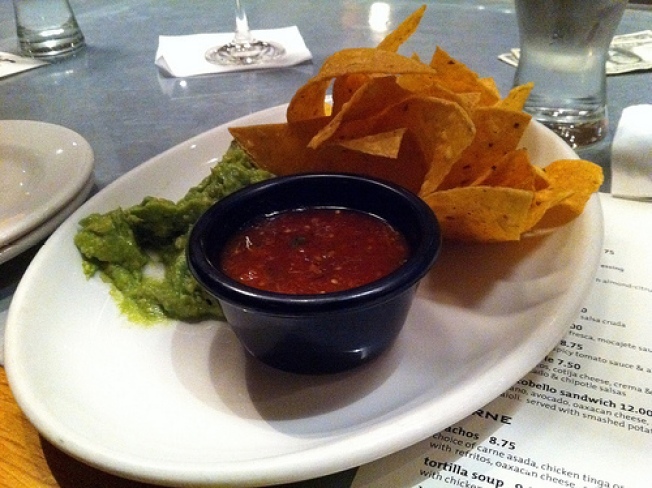 Guacamole and chips at Cesar Latino. When I stumbled into Piedmont’s Cesar a few weeks ago, I was craving their out-of-this-world Spanish tapas and cocktails. To my surprise, what used to be Bar Cesar reincarnated itself as Cesar Latino over a year ago, but their food remains just as stellar. Instead of cured meats and salted seafood, Cesar now serves up tacos and salsas, drawing its menu from across Latin America, with an emphasis on Mexican cuisine. My dining companion and I sat at the bar and started with fresh house-made guacamole and chips while we checked out the new menu. Next, we shared the patatas bravas. This is the one dish from Cesar’s old menu that made it to the new iteration and thankfully so, because it’s my favorite. To this day, these garlicy, paprika-laden crispy potato wedges are the best patatas bravas I’ve had in the Bay. We wanted something fresh and palate-cleansing after the potatoes, so next we slurped down some raw oysters. Served with a spicy mignonette, these small, briny oysters left me wanting a few (dozen) more. Lastly, we each ordered a plate of fish tacos. 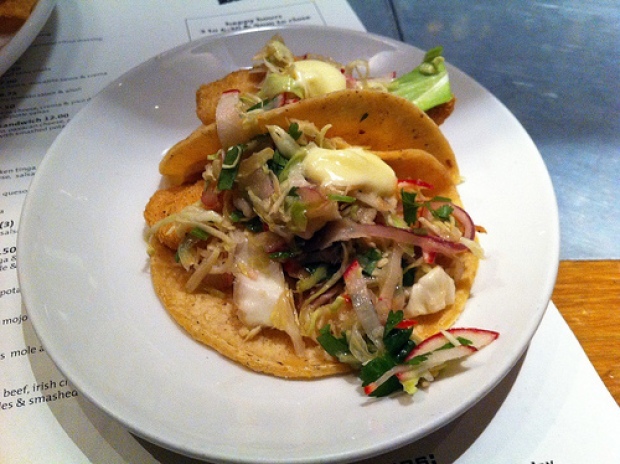 Fish tacos (well, any tacos, really) are one of my favorite things to eat, and these didn’t disappoint. The fish was light and flavorful, and heaped with radishes, onions, and shredded cabbage, they were satisfying without feeling heavy. Cesar’s cuisine may may have changed drastically and seemingly without warning, but rest assured: their solid cooking and fun vibe is still very much on the menu.